Happiest of mother's days to you dear Preeti. You wear motherhood like a badge of honour and rightly so-you shine in the role!!! I hope your day is relaxing, full of tight hugs and i loooovvvvvvvve you's. You deserve it. "A tight hug topped with a kiss can solve all most problems." - so very true!! wish you a very happy mothers day. mothers like you are an inspiration to a new mom (not so new actually)like me. Have a fabulous day today! And Point 8 is so very true. Wish u a very happy mother's day !! I too was travelling over the weekend to Pune i would have been able to visit in person to my MOM "Hapy Mothers Day"
Such a wonderful post to read on a mother's day .. Happy Mother's day !! Agree with all of them. Impressed with the checking if the smile reaches the eyes .... Kids can be so profound! Hope you were spoiled by your lovely children. Happy Mother's day Preeti ..lovely post ! Very nicely written and each one is so very true and good..Thank you..
belated Happy mother's day.It is touched to my heart. Oh yes knw most of wht u were talking about;-D. Hope u had good day!!! 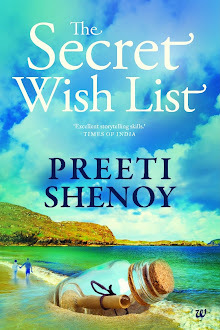 Hey Preeti,I am in love with your blog! Will be a follower. Anyway, I could really relate to each paragraph in " The hardest thing in the world". Have a great day.Take care. Reflections: Nice! Yes--hope u had a good day too! Vidhyakar: Welcome to my blog! Glad you liked it. Children do have an uncanny way to be little philosophers. Devil Mood: They do take care of me :) thank you! Ritu: I think they learnt that from a Roald Dahl book :) Yes kids can be profound indeed. bbsearchingself: Welcome to my blog. Thanks! Anish: yes--day is not importan.Wishes are! Where are you? In US now? Convey my regards to your mom. Momo's ma: I too grab my inspiration from others wherever I find it. We all need out little doses! Rohan: I could just picture it! :)Thanks for sharing a beautiful memory. 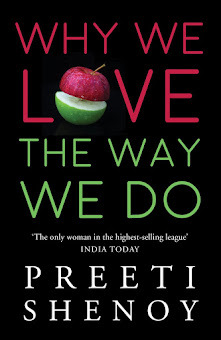 What a lovely post, Preeti! Have been meaning to do one on similar lines for sometime now.. Kids can be the greatest teachers! Looking forward to the second book!